***Newly Renovated Historic Home*** Enjoy luxurious living in this impressive, beautifully designed, seven bedroom, four and a half bath Overbrook property. Enter the light-filled vestibule featuring high ceilings and a magnificent original staircase. The main floor features a dining room and great room with oak java hardwood floors, and a custom designed kitchen with espresso cabinets, quartz counter tops, stainless steel appliances and walk-in pantry. This floor continues with a powder room and complete in-law suite with separate entry, main floor laundry, a full bathroom and kitchenette. Upstairs is another laundry and three bedrooms including the master suite with walk-in closet and a marble bathroom with whirlpool tub. The third floor features three further bedrooms and a bathroom. Elegant neutral color scheme, large replacement windows and recessed lighting throughout. This spacious home contains three separate HVAC zones and is situated on a huge lot with a vast two car garage. 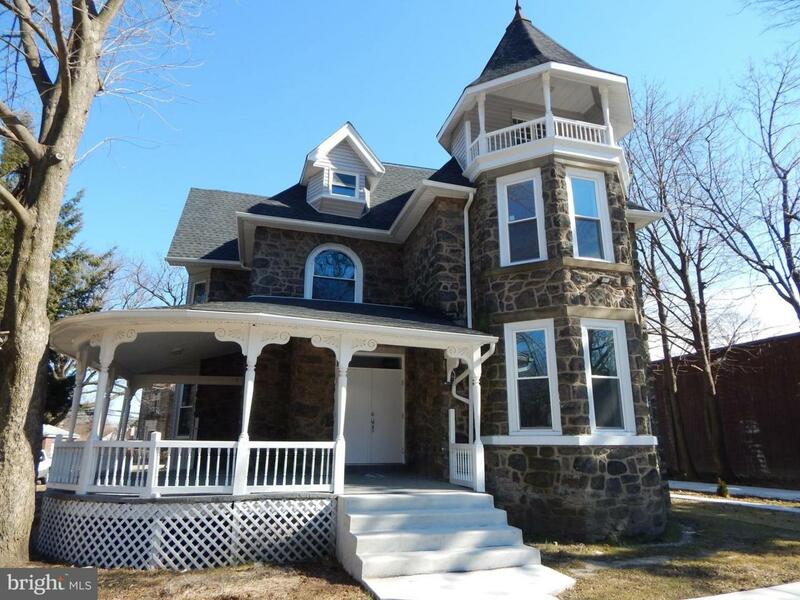 Conveniently situated close to the Main Line, Center City and the Fairmount Park System.